James Ennis smashed the season record for a double match score but I’m hoping that AJ Ogilvy can go right back at him and break it with Sydney’s double this round. Wow! James Ennis scored a massive 138 points and in many cases, for those who had him as captain, his 276 was more than the rest of the team combined. His Perth teammates were pretty good too with Beal (70) and Wagstaff (52) offering the best support. Special mention goes to Drake U’u who got 42, a significant improvement on the sum total of 28 points he’d accumulated in his 14 previous matches. Although losing both games, Townsville still delivered and were jointly led by Conklin and Holmes who both got 62. Blanchfield was next best with 50, while Pace managed to return from his injury with a better than expected 44. Mika Vukona was the second best scorer of the week with 78, whilst AJ Ogilvy was third best with 74, both from one match. Meanwhile Adam Gibson and Sam Young both got 50 from their single games. Matthew Knight was unlucky and his injury hurt both him and those coaches who have him as he got 14 after only playing part of the first game and none of the second. Gary Ervin‘s return from injury was healthier than Knight’s but scored less points as he managed only 8. Alex Loughton has had a major drop in form since Tragardh has been out and got 10 this week. 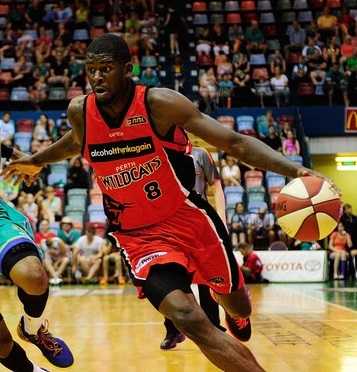 Jamar Wilson was also uninspiring for Cairns and got 4. Lucas Walker had a reversal of form after two big double match rounds and got 10. For the second week in a row the worst scorer was again a Breaker and again scored a very low -8, however this week it was Corey Webster who missed every shot he took. Sydney and Cairns have the double matches this week. Sydney is by far the best option of the two as they have played the least games of all the teams in the league and finish the season with 8 matches in 5 weeks. Cairns still have a good run in the short term, with 5 games over the next 3 weeks, but round 16 is their last double for the season so you’ll probably be looking to trade their players out after then. Grab: AJ Ogilvy is the clear standout and has easily been the best player for Sydney all year. Sam Young has been putting up solid scores since his arrival and is absolutely worth having too. Both are expensive but worth investing in as keepers. Cody Ellis after two games is averaging 26ppg, the third highest at Sydney, and is getting court time and scoring well. He’s also minimum price, so trade him in now. Maybe: Tom Garlepp is probably unlucky to not be included in the grab section as he’s been very consistent all year, however his price is just a little high for his output. Ben Madgen is scoring very inconsistently this year but is quite cheap given his potential. Charles Carmouche is even cheaper and can score very big if he hits his shots. James Harvey is cheaper again and coming off a great game so could add some nice value if he starts scoring regularly again. Pass: Brad Hill is almost minimum price but absolutely avoid him. He has been on court for less than 5 minutes total in Sydney’s last two games and it looks like there’s either something wrong with him or he’s out of favour. Either way, his court time has gone to Ellis who’s making a much better showing with it than Hill was. Kevin White has been getting less court time also but his has been lost as James Harvey has recovered. Maybe: Lets start here instead. Alex Loughton, Jamar Wilson and Cameron Gliddon are all priced very reasonably and all have been scoring less than they can. However, they’ve been underscoring far too often for there to be any confidence of when they’ll turn it around. If you can pick the right one though there’s a lot of value to be gained. Demetri McCamey, Matt Burston and Clint Steindl have all been scoring above average lately but have already increased in value. They might keep scoring well and could continue going up in value but they could just as easily stop. There is very little pattern to the scores from Cairns this season. Stephen Weigh looked like he was going to start scoring well but instead seems to have gone for a more even split of good and bad games, which is still an improvement on the start of his year. Pass: Mitchell Young has been great for Cairns but isn’t looking like he’ll score big and gain decent value. Brian Conklin had a good double and should go back up in value and is someone to consider. Having at least one good Townsville player will be absolutely necessary for round 17. Pace should become quite affordable in the next week or two though and will be a better option if you only want one. Rhys Martin has a very low price currently and after scoring 34 this week could start gaining value again. Tim Coenraad has plummeted even further in price than Martin and is another who could shoot back up in value. Both also come with the bonus of Wollongong having the double match next round. If you’re looking for a really short term trade then Drake U’u should gain another $8k+ this week, however unless he continues his hot shooting streak be prepared to trade him out again very soon. AJ Ogilvy is the obvious choice, followed by Sam Young. Beyond those two your choices are slim. Cairns players such as Alex Loughton, Jamar Wilson or Cameron Gliddon could step up, as could someone like Ben Madgen. I’d pick them in that order if needed but you’re almost as likely to get another 70+ score from Ennis or Vukona. I’m debating if I give Cody Ellis a spot on court. The question for me is will he score more in his two games than Worthington or Goulding will with their one? At the moment I’m leaning in Ellis’ favour. After boldly stating last week that I would be holding Pace, I’m tempted to drop him for Rhys Martin to gain a bunch of cash and then trade Pace back in at a cheaper price in a few weeks time. I sat down yesterday and looked at my team, looked at the remaining double matches and plotted out how I think I’ll spend the 10 trades I have remaining. I marked 6 as essential which leaves me 4 to cover injury or make luxury trades like the Pace one I just mentioned. Hi Tristan, would you play Garlepp or Ellis? I’d probably end up picking Garlepp because he’s consistently scored around his 25ppg all season, but it’s really a line call. How about both and put Blanchfield on the bench? Cheers mate, may as well go for it and put Gliddon on over Goulding as well. Having a bench of Worthington, Blanchfield, Burston, Goulding and Markovic does feel very odd. Players will be Garlepp, Ellis, Ogilvy, Ennis, Gliddon. Schenscher and Demos are definitely the players you would choose to trade out and getting Ogilvy is a must. I haven’t had a good look yet, but if there’s a Fwd/Ctr that you can afford who’s worth getting then you could trade Demos to them by moving Ennis to the Grd spot and then that would allow you to get Loughton on court. If not then Rhys Martin is a great choice. Could do that in 1 trade if you had triple sub. Because I have trades I could grab someone like Aruyn Macmillan and the trade him next week to just a centre? If Macmillan is the best you can get as far as fwd/ctr players go then give it a miss and stick with getting Martin instead. I make a lot of my decisions from estimated theoretical scenarios, eg. if Loughton got 60, Ellis gets 40 and Martin gets 30 and Macmillan gets 0 then you’d get 10 extra points from bringing in Macmillan or 15 extra points from bringing in Martin. So you’d get more points (plus a better player and better set up for next week), thus Martin is the better choice. Tristan – I AM thinking a bit ‘leftfield’ here. I am seriously considering trading wortho and goulding to forman and Clarke this week to free up cash ($12,500) to turn Wilson into Ervin next week? I only have $1200 odd in bank before this weeks trades and really keen to move on Ervin next week. So, you’d take two guys with a round 15 double and trade them to two guys with a round 15 double, and you’d expect a similar output from them, although the Melbourne two have been better to date. So it gains you some money but not much else. My current tentative plan is to to get Ervin after Melbourne has had their double in round 15, I figured I’d trade Goulding/Wortho for Ervin/DJ. I don’t imagine Ervin will have jumped up much in price yet at that time. He’ll certainly lose money again this week and if he puts up another score of 8 then he’s got even more weeks of plummeting. I’d lean to saying it’s too risky given that it’s two trades for not much clear gain, but if one of the Melbourne guys scores really badly or your guys score really well then you’ll come out a big winner as you’re swapping common picks for uncommon picks.